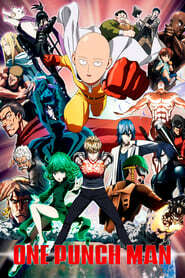 : Saitama is a hero who only became a hero for fun. After three years of âspecialâ training, though, heâs become so strong that heâs practically invincible. In fact, heâs too strongâeven his mightiest opponents are taken out with a single punch, and it turns out that being devastatingly powerful is actually kind of a bore. With his passion for being a hero lost along with his hair, yet still faced with new enemies every day, how much longer can he keep it going?